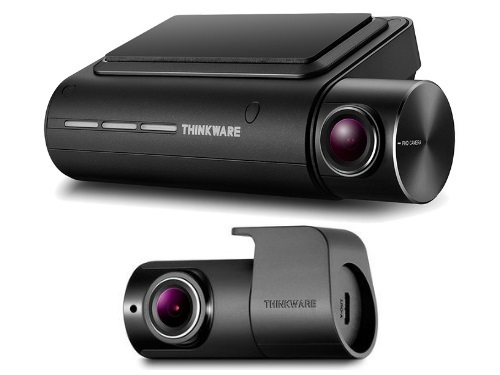 The Thinkware F800 PRO is the “flagship” dual channel dash camera from Thinkware as of the beginning of 2018. This dual camera uses an Ambarella A12A55 processor, Sony IMX291 sensor for the front camera and Sony IMX291 sensor for the rear camera. These are high quality components which allow the F800 PRO to record 1080p for both the front and rear channels. The bitrate is on the lower side at 10Mbps for the front and 10Mbps for the rear. Note while this camera is typically sold as a dual camera, you can purchase the front camera only and the rear camera separately (model #BCFH-200). Video quality during the day is very good for both the front and rear cameras. Note that areas with many trees or a lot of moving items, the quality can be pixelated or blocky due to the lower bit rate. At night the front video is good but the rear video is average (some owners indicate the video is grainy). For a dual camera, video quality is decent but not the best. Energy saving parking mode – when an impact or motion is detected, the camera starts recording approximately 1 second after the impact for 20 seconds. This is non-buffered so you will not capture the moment of impact. The benefit is that it uses 1/3 of the energy. Some other useful features include low voltage cutoff / battery protection, high temperature protection system and speed camera warnings. The F800 PRO also comes with more gimmicky features such as Lane Departure Warning System (LDWS), Front Collision Warning System (FCWS), Urban Front Collision Warning System(uFCWS) and Front Vehicle Departure Warning (FVDW). These typically do not work that well and most owners just turn them off. The front camera is not too big at 107 x 61 x 32mm. The narrow form factor, no LCD screen and all black design make it quite discreet when installed. Overall build quality of the F800 is excellent, initial reliability has been good and support is decent as well. 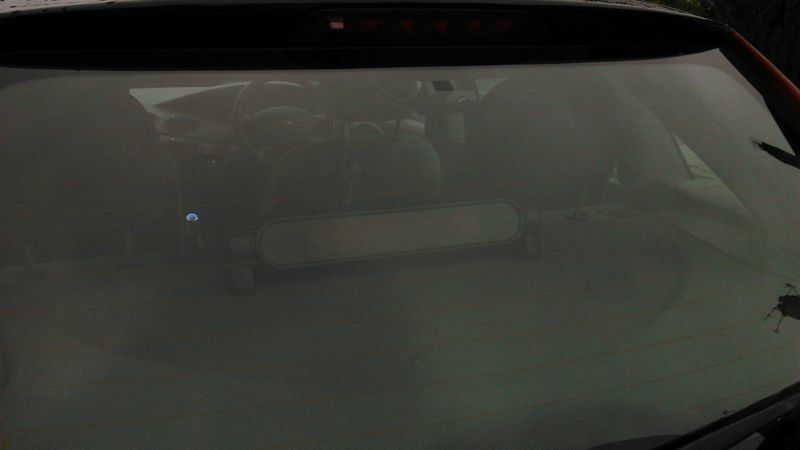 Unlike the BlackVue Cloud capability, the F800 PRO is not as mature. 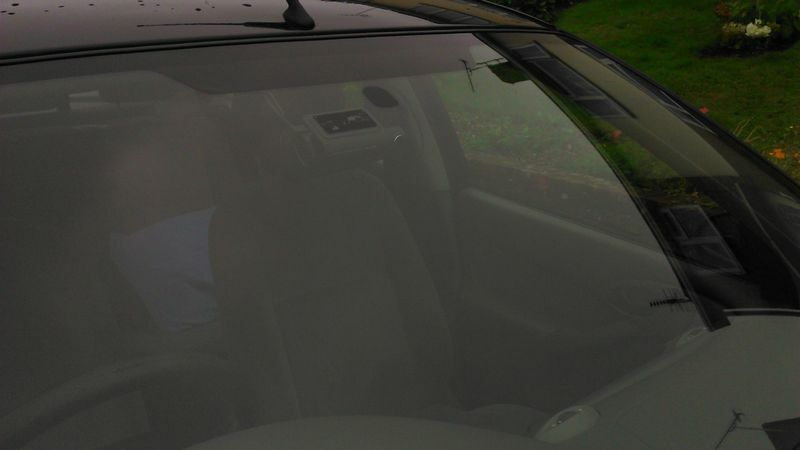 It does not offer live cloud view, over speed warnings or impact warnings when parked. 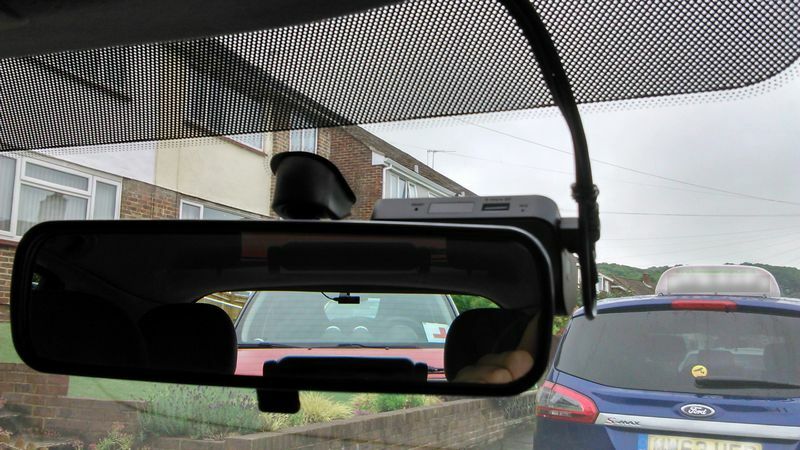 The BlackVue is well suited for concerned parents who like to watch over their kids driving and see what is going on with the vehicle in real time. That being said, the Thinkware Cloud support is free while, Blackvue charges for cloud access beyond 10 minutes per day. Many owners complain of being able to connect their smart phone to the camera. If you are having trouble start over from the beginning. Go to your phones WiFi and select the Thinkware network and ‘forget’ it. Also factory reset the F800 Pro. This can be done by powering up the camera and once it is recording, hold the manual record & microphone buttons until you hear 3 or 4 beeps and a message. Watch the first video to connect the F800 Pro to an Android device or the second video to connect it to an Apple device. There haven’t been any major common problems for this camera. 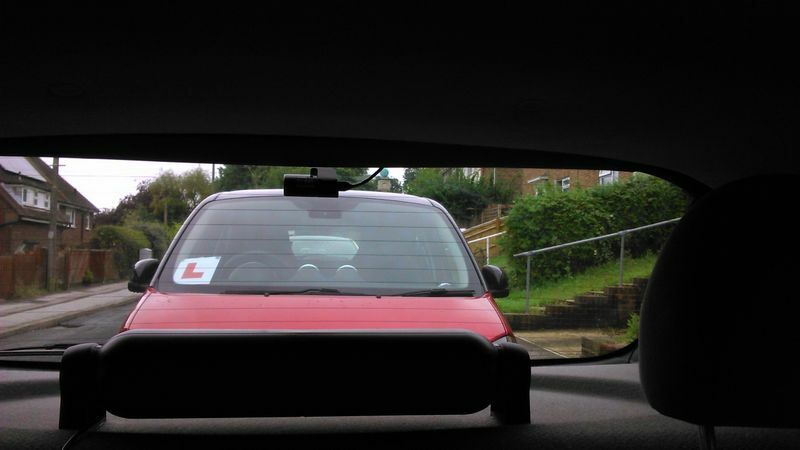 Our member TJVideo shared the following pictures of the F800 PRO mounted in his car. The Thinkware F800 PRO is a premium dual camera loaded with features. The camera is discreet, reliable and has one of the best parking modes available in any camera. Build quality is great and support is good. Video quality is good but not the best (often owners complain that they expected the video quality to be the best given the high price tag). The app and cloud features are not the most mature as well. Overall, the Thinkware F800 PRO is likely the best premium dual camera available today, especially if you are looking for parking mode. You could also consider the cheaper Thinkware F800 if you don’t need cloud capabilities and 128GB card support. You can read what other owners have to say about this camera in our Thinkware F800 / F800 PRO forum. This camera is available on eBay and Amazon for approximately $450. Make sure when you purchase you read the listing carefully. Some vendors sell the dual camera model, others sell the front camera only and you will need to purchase the rear camera separately if you want both cameras. The latest firmware can be downloaded from the Thinkware site. You can download the English User Manual from here. Final Word A feature packed dual camera with 1080p 30fps front and rear. High price but still a very good dual cam.